So, you've read all of your January releases and now you're looking at the long year ahead with trepidation and empty shelves. Never fear! Now is the perfect time to catch up on those 2014 releases that you may have missed (and can probably acquire at a better price!). Click the book titles for my reviews! This tops my charts for best of 2014 (if you don't count the sequels list). It's also definitely a contender for my list of all-time best contemporary. That's the level of amazing we're talking here. Nelson has incontrovertibly proved that books about teenagers can be insightful, gorgeously written, soul-achingly profound, and damn exciting. With the split narrative, Noah telling the earlier years, Jude the latter, Nelson plays with the way in which we hear and understand stories. Like her heroes, we never have all the pieces at once. Common characters and threads weave through both narratives, but not until the twins return to each other can they see the connections. The quirky, heart-rending plot is bolstered by earnest character, painterly prose, fine art, magic realism, and oranges. It's the kind of book that will linger, long after the final word. 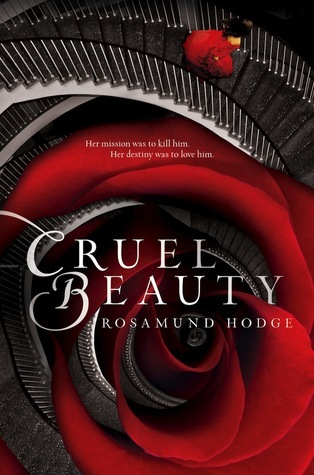 Fairy tale retellings stormed the young adult world last year, and Cruel Beauty is everything that's right with the genre. It has all the magic and quirkiness of its forebear, Beauty and the Beast, but takes the story far beyond its inspiration. This is a world cursed, locked in a paper sky. 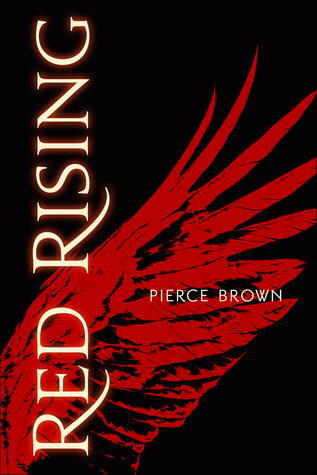 A girl raised to marry and destroy the evil overlord. A tortured demon and his imprisoned shadow. The set-up alone is compelling, but Hodge's true gift is in her imagination. There's the interweaving of Greek mythology with Hodge's own created mythos, a religion of tricksters and hedge gods. Then we have Ignifex and Shade, a demon and his shadow, both complex characters that tread the line between good and evil. And of course Nyx, torn between duty to her family and hatred for their place in her imprisonment. Hodge made me believe in and love these characters so that their struggles were mine, their victories mine. And when I turned that final page, I felt the strongest urge to read it all over again. Young adult science fiction has rarely been done so powerfully on so grand a scale. It's reminiscent of Ender's Game by Orson Scott Card but sets itself solidly apart. Brown's is a world in a distant future where eugenics has created social classes bred for their roles. Low-caste Darrow is thrust into a war he barely understands, forced to become the enemy in order to destroy them. When school is literally a battlefield, what comes out is someone stronger and more ruthless. Brown doesn't flinch from the unavoidable corrupting force of war. Darrow's story is devastating and thrilling. I came out feeling as wracked as though part of me had been to war too. Brown's beautiful language and masterful storytelling captured me quickly, and gave stark clarity to one of the most powerful pieces of young adult fiction--of any fiction--I've ever read. Sneak peek: The sequel, Golden Sun, is just as good. It's one of Emma Watson and Stephen Chbosky's favorites, and for good reason. Though it took me a minute to find myself captured, when I let myself open up to the story beyond the hype, Love Letters stole my breath. 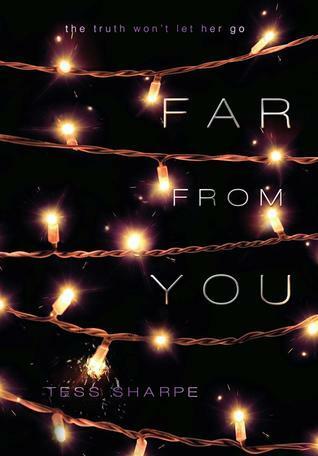 In a collection of variously simple and starkly profound letters, Dellaira tells the story of a broken girl grasping for her shattered idols--inevitably discovering the cracks in the idols, and through this, finding her own strength. Laurel's voice is a sweet mix of lingering naivete and too-soon maturity. Her letters reveal the harrowing progress of dealing with grief over her sister's death, and the discovery of her own strength. 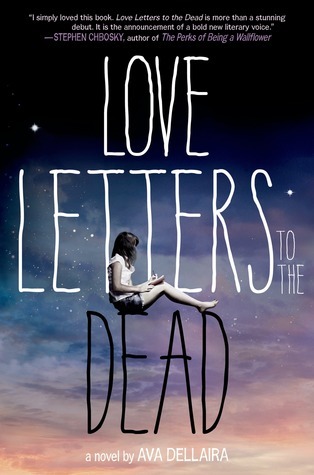 It's a book of tragedies and first loves. Of the fears that slice between people. Dellaira, in striking deep into the heart of tough issues and baring them bald, has created a truly real tale of heartache and redemption. If you're sick of hearing about this book and still haven't read it--read it already! It's one book even better than its hype. My recommendation is to go in blind. Thus, I cannot tell you every reason why I worship this book. In the simplest terms, I can say that this book moved me. It's the kind of literary work that you'd be assigned to read in English, and you'd complain, but you'd later recall it as one of the best books you'd ever read. It's also completely accessible for the non-literary sort. Lockhart writes with passion and authority. Rich with lush language and fairy tale motifs, it's a book of a secret world, the decadent rich, the growing pains of recovery, the fragility and strength of family. Most importantly, it's filled with characters I'd die to be friends with. I won't soon forget this one. This book is an outlier in that it's the only one on this list I didn't give a five. But I want to highlight it because it was good and moving and severely under-loved. Instead of the cheesy murder plot I feared, I got a murder mystery wrapped up in friendship, struggle, love, and poignantly-expressed emotion. Sophie could easily be the self-obsessed unforgiving addict, but she's much more than that. She's a girl who's seen the other side. She's also complex in ways I can't fully describe without spoiling. Moreover, her story is truly about friendship, how it breaks and how it evolves. The writing is starkly beautiful at times and very fluid. What results is a poignant exposition of growing up and first love. The mystery is exciting, but the punch of this novel is as much about understanding the victim as it is about finding the killer. This was not an easy book to put down. 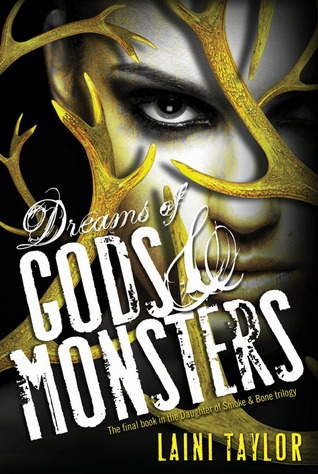 If you read my blog often, you may realize that I'm a tiny bit obsessed with Sarah Maas. She's the reincarnation of Tamora Pierce and, in my mind, the definitive voice of high fantasy in today's young adult scene. 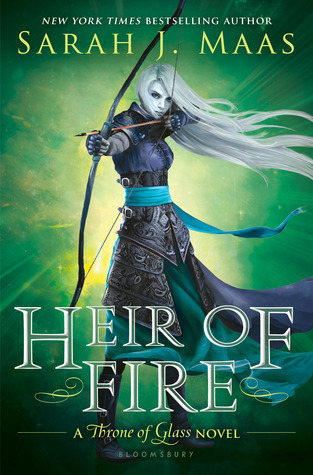 Heir of Fire is everything wonderful about Throne of Glass and Crown of Midnight with higher stakes and deeper emotions. It's part amazing battle awesomeness, part poignant journey of self-discovery and painstaking self-forgiveness. Maas seamlessly weaves the tales of our hero Celaena, her best friends, and the brutal witch Manon into a story that transcends a single person and holds the weight of a whole world. If you're new to the series, you have plenty of time to catch up before Queen of Shadows releases in September. This is the final installation in a series that takes the conventions of young adult fantasy and stretches them to the extremes of beauty and force. Dreams is a perfect culmination of the series, an ending and a huge beginning, a raising of the stakes. Our beloved characters grow and find their strengths in ways both believable and remarkable. Tragedies occur. Lovers are foiled and frustrated. New characters become major players, somewhat unexpectedly. And for an over 600-page book, the pacing is breakneck. Taylor carefully flings you between narrators to set up suspense and, as she does best, fosters cringing amounts of dramatic irony. All the while, the atmosphere is one of wonder and also one of fear and brutal violence. Taylor no more shirks the flaws of her characters than the consequences of their actions, which at times can be devastating. Yet she gives us better than reality--she offers hope amidst turmoil, love amidst death. It's a gorgeously written epic that could lend itself to half a dozen prequels and sequels. It's also one of the books that has cemented for me more than ever why I must be a writer. What were your 2014 favorites? Read them! I'm not sure how similar they are to liked books on your list, as I haven't read many of them (GAH I need to read Maggie Stiefvater, her books are haunting me!) but I found them beautiful. 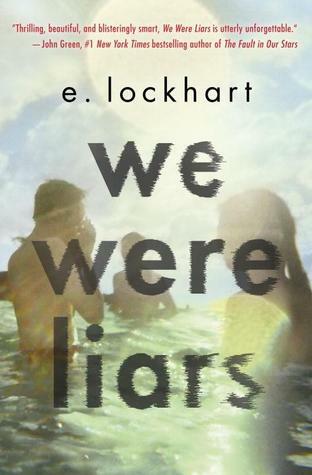 We Were Liars definitely garnered a mixed bag of reactions. It just worked for me. Haha, your enthusiasm speaks volumes. I had the same reaction when I first read them (especially I'll Give You the Sun). I think I told about 50 people they HAD to read it RIGHT NOW. Believe it or not, I have read most of the books on your list. 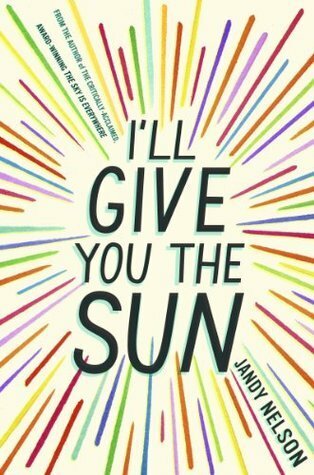 I still have to read Heir of Fire and I'll Give You the Sun, though. Great picks, C.J.